11th May is Eat What You Want Day in the US. All we want to know is, why just the one? To mark the occasion, it’s time to shout out some filthy dishes you’re welcome to obsess over on ANY day of the year. 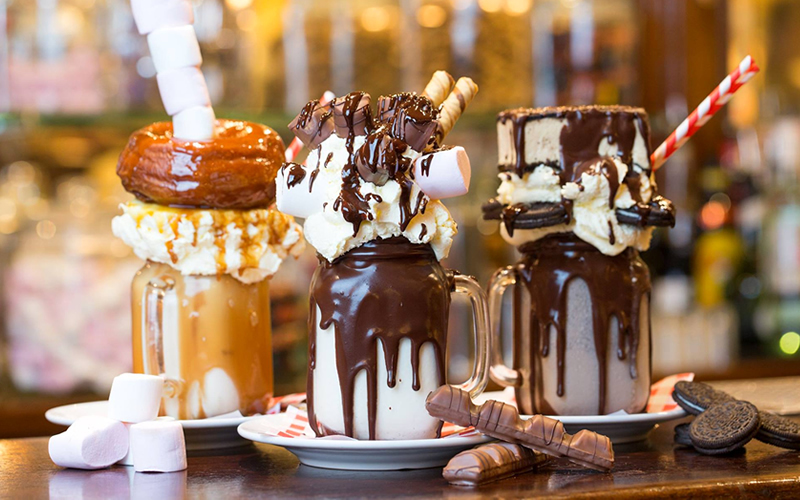 Supposedly the first restaurant to offer London the one of your five-a-day freakshake, Maxwell’s interpretation still ranks up with the best. At first glance, things seem kind enough: a salted caramel shake topped with whipped cream, caramel sauce, and marshmallows. But then, the kicker – yes, a whole doughnut balanced on top. 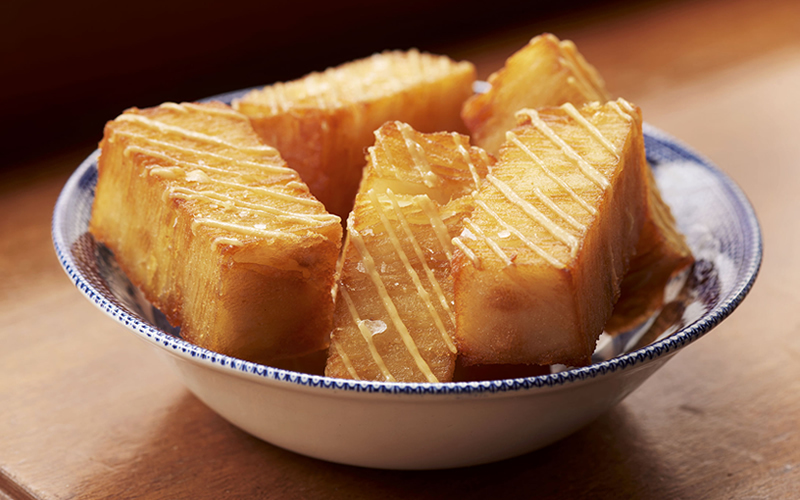 Sorry mums, this may well be the best roast potato around. If you can call it that – these guys are mandolined, cooked in dripping, then deep fried to finish. An essential order at QCH. Everyone thought the British Sunday roast had been perfected. Everyone but Chick n’ Sours. 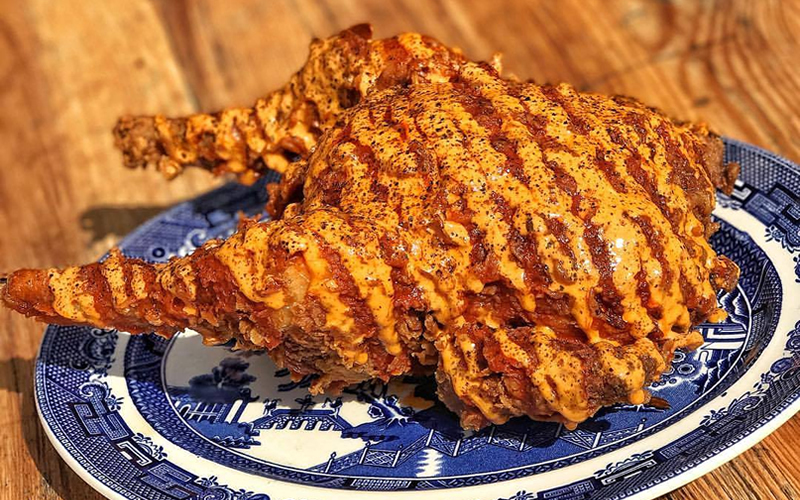 £30 gets you a whole chicken to share, except instead of the usual, it’s brined in buttermilk, battered, then deep fried. 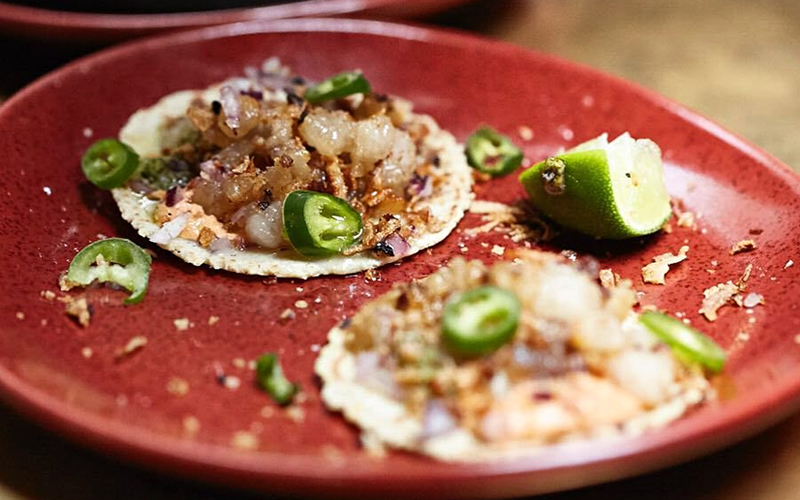 Try it K-Pop style with gochujang mayo and chilli vinegar. Good grief. A night out in Glasgow can include a number of things – deep-fried pizza, chips in bread rolls, and The Glasgow Salad (go on, google it). 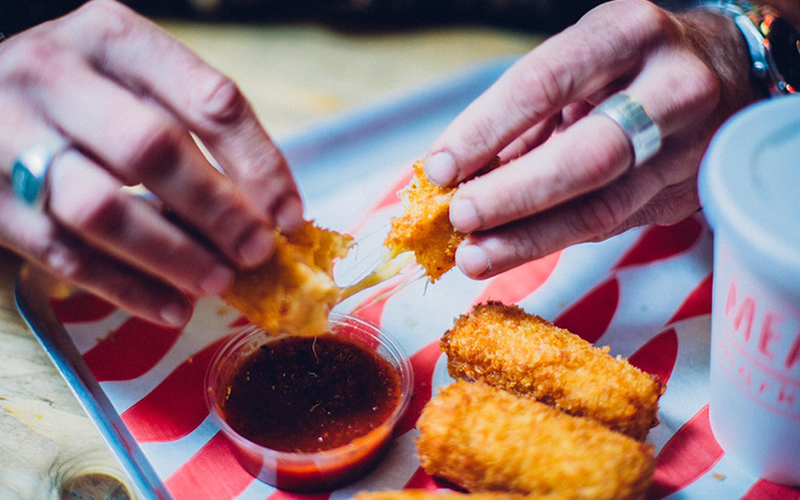 True enough, MEATliquor’s sticks of deep fried mac and cheese are one of few foods found in London which would get a Glaswegian’s 3am thumbs up. It took some weird kind of science (and a bit of magic, perhaps) to get Oreos in and out of the deep fryer in one piece. But to the delight of many, HotBox have achieved the impossible. 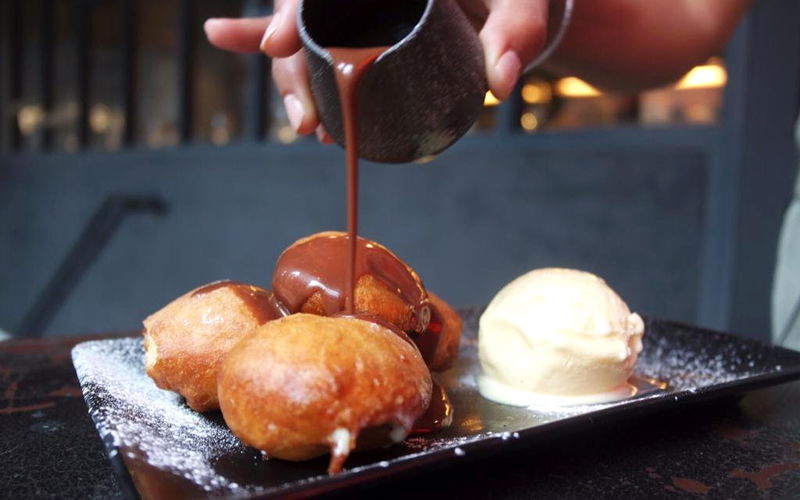 The impossible just so happens to be served with a chocolate sauce and cornflake ice cream accoutrements. Clue’s in the name – a detox vegan carb-free establishment Dirty Bones is not. 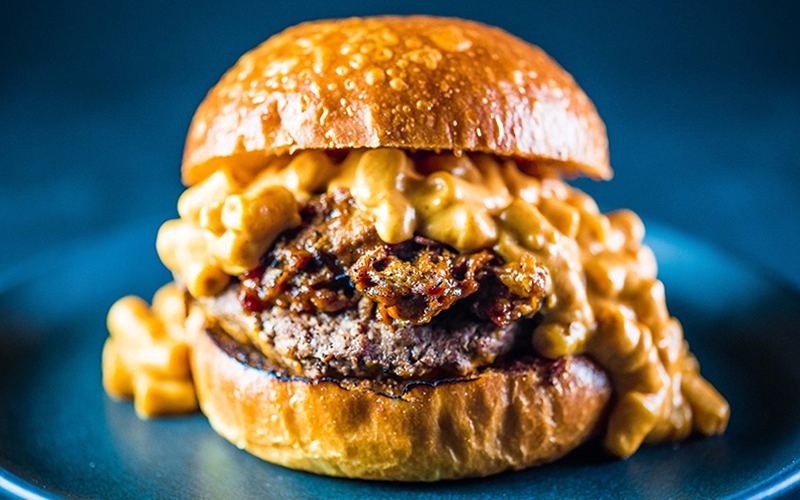 For the ultimate indulgent feast, go for the Mac Daddy – a double brisket and dry aged steak burger, topped with pulled beef short rib, mac and cheese, and espresso-laced BBQ sauce. Sidekick it with deep fried mac n’ cheese balls. Someone call an ambulance. Some people are just plain indecisive. But if anyone of their ilk visits Blacklock on a Sunday, the only hope is that they come with extra storage space. They could go for dry aged rump, pork loin, or a leg of Cornish lamb, plus all the trimmings. But then, why not all three? At £20 a head, it would be rude not to. 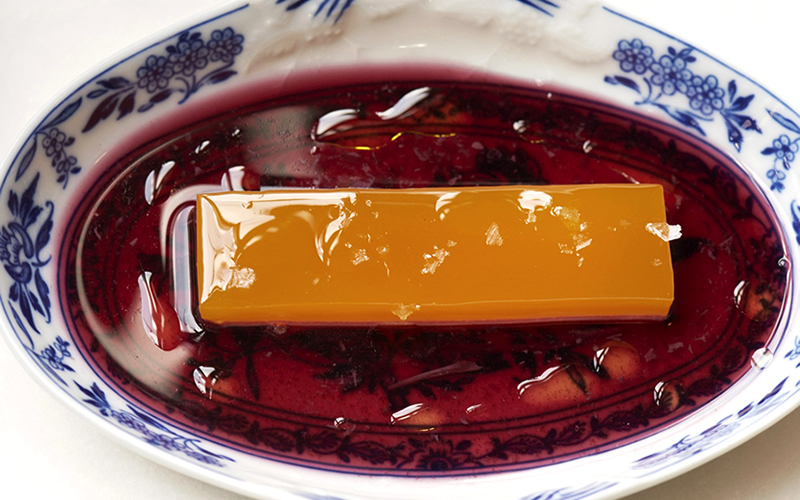 There are few dishes more picturesque than Taberna do Mercado’s steamed egg yolk and pork fat pudding with port. It’s fatty, rich, and yet delicate ­– a dessert you wouldn’t eat heaps of (good thing it comes in a small dish, then). 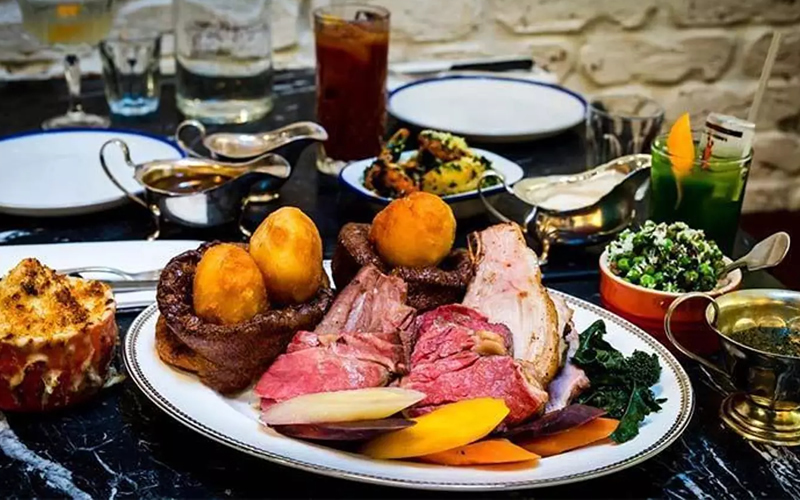 It is said pure beef fat was put on the menu after customers complained the food at Temper was too fatty. Urban myth or not, considering Neil Rankin’s response to critique in general, you wouldn’t put it past him. But he’d be right – anyone who baulks at the thought probably need not visit Temper at all. The best way to finish off a pizza dinner? 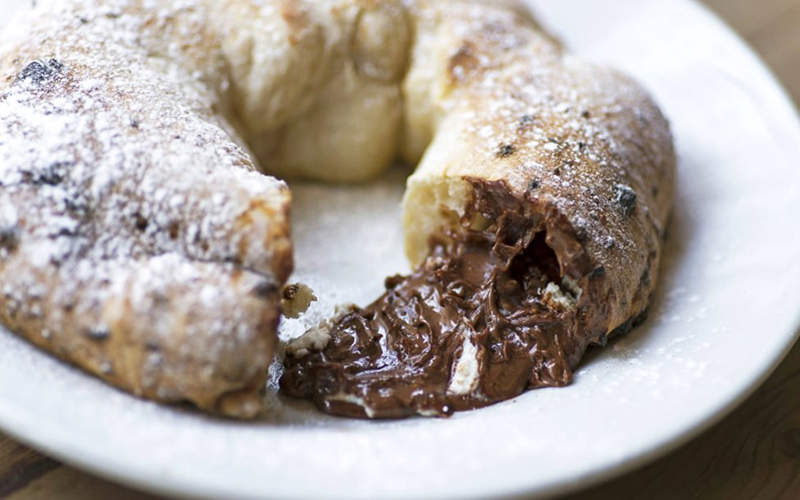 With Nutella and salted ricotta-filled dough ring, of course. Add a scoop of ice cream, if your gut can manage it.